Do hangovers spoil your day at work? "Why suffer from hangovers when the cure is here?" says the 24 year old entrepreneur, social activist and philanthropist Vandana Pillai. She completed her M. Tech in Biotechnology from Padmashre Dr. D.Y Patil University and joined a startup venture to learn more about how a startup works as her dream was always to startup something of her own. She says, "My dad has been my role model. I have seen him struggle and grow in his business and always wanted to do something challenging and exceptional. I never wanted to settle down for anything less." She met her business partner Mr. Dhruv Trivedi at her very first job in a startup firm; shortly they both left the job to create something of their own. "Dhruv used to suffer from terrible hangovers. That's where the idea of Anti-Dizz: India's 1st Anti-Hangover drink struck his mind. We both, being biotechnologists, did intensive research with the help of our college to develop a natural product that prevents hangover," said Vandana. She took a loan at a mere age of 22 for the seed fund to develop the product and initiate the company. "My father was not supportive at the start as he wanted me to fetch a secure job. But my mother was always by my side because she is the person who inculcated the value and mentality in me of being an independent woman," recollects Vandana. She faced many problems and criticisms for starting something at such a young age. 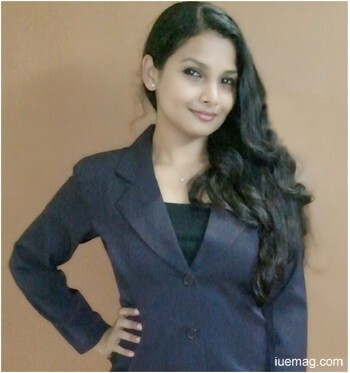 Vandana narrates, "Many people asked me how I could do business at such a young age. Do you think you have the maturity to do business at this age? Why don't you just take-up a secure job?" "What I learned from my experience is that doing a business is definitely not easy and not for the weak hearted because each day you have to face a new challenge, each day you may face something that pushes you back and makes you feel terribly low. But each day you have to get over it feel determined and work harder to achieve your goals," says a determined Vandana. She thinks entrepreneurship is all about giving their best in anything they have to do. She says that they have a number of innovative products that are yet to be launched. Their motto is to provide products that will add value to the consumers and improvise the society. "I feel it's not the destination but the journey that matters. In these two years I have evolved mentally, emotionally and spiritually. I have learned and unlearned things and I strongly believe that change is the only constant," says Vandana. She says that people in India have negativity towards alcohol. So, people have questioned them whether if by making a product for hangover were they promoting alcoholism. They firmly disagree and believe that alcohol is bad for your body. They feel people should avoid smoking and drinking and instead choose a healthier lifestyle. "We do not promote alcoholism but a healthier living. Even if we hadn't launched this product people who do consume alcohol would continue to do so. Anti-Dizz promotes healthier living as it eliminates the toxic byproducts of alcohol and supports the liver," explains Vandana. She says people who have tried the product swear by it. Many have found relief from the common hangover symptoms like headache, nausea, acid reflux, burning sensation in the stomach and fatigue. She says, "We have been selected for the Sirius program, and at the same time we are being internationally recognized and accepted by other countries as well with the help of our distribution partner and mentor Mr. George. We are very thankful for his constant help and unlimited support." She has been an active participant in environment preservation initiatives and has assisted Navi Mumbai Environment preservation Society to plant more trees and save ravaged mangroves. She strongly believes that education is the stepping stone to a social revolution and economic reform. She has been volunteering in educating underprivileged children and orphans. She aims to start a Non-Profit organization to help spread the importance of education and develop its means in the remote villages in India. She has worked with Advanced centre for treatment research and education in cancer and TATA memorial hospital where she used to interact with children suffering from Neuroblastoma- a type of cancer. She found many parents who did not have the means to complete the treatment due to financial incapability. Hence, she developed the aim to start an organization, acclaimed internationally, to raise money for treatment of children suffering from cancer. Any facts, figures or references stated here are made by the author & don't reflect the endorsement of iU at all times unless otherwise drafted by official staff at iU. This article was first published here on 26th July 2014. IJ Anita Tejwani is a contributing writer at Inspiration Unlimited eMagazine.